As the 1907 LSU Tigers, under first-year head coach Edgar R. Wingard, prepared for their last scheduled game, Baylor in Baton Rouge November 30, the possibility of two more games loomed. Tulane had refused to play LSU in 1906 and 1907. The New Orleans school accused the Tigers of using two "ringers" in the '05 game - Clarence and V. E. "Bob" Smith, a pair of HB brothers from Albion MI, whom coach Dan Killian, a Michigan alumnus, was accused of recruiting simply to play football. The Green Wave made formal charges against LSU at a meeting of the Southern Intercollegiate Athletic Association, a sprawling league with 18 members scattered from the Carolinas to Texas. Tulane included three additional players on its list of ineligible participants. The S.I.A.A. referred the protest to its vice-president for Louisiana, Mississippi, and Texas, which just happened to be Colonel T.D. 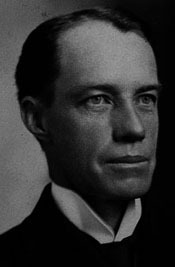 Boyd, the LSU president. Needless to say, the protest was denied. 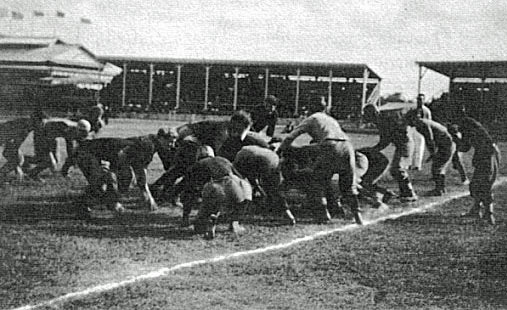 --Each team to play under its own eligibility rules, each university guaranteeing "that her players were bona fide students in amateur standing, and doing the work required of them in the various departments ..."
--Both teams play "under the flat one-year rule, which requires players to be registered students at the university - in good amateur standing, etc. - for the full scholastic years of 1906 and 1907, regardless of their attendance at other colleges or their participation in athletics elsewhere." --Furthermore, Tulane would play wherever LSU desired. However, President Boyd rejected the proposal on the grounds that the rules Tulane proposed were not the S.I.A.A. rules. Boyd's decision may have been influenced by the offer of a game in another country. The city of Havana wanted an American football game to climax Cuba's annual National Sports Festival. LSU was invited to meet a team from the University of Havana - "the strongest eleven in Cuba" - Christmas Day. The Havana team boasted "many former American college men who have played football in this country," including Rene Messa, who had played for LSU 1905-06. With the Havana committee promising to pay travel expenses, LSU agreed to the game. The Tigers finished their regular season by clobbering Baylor 48-0 for their sixth victory against three defeats. Wingard gave his men some time off before starting preparations for the first appearance by an American college team on foreign soil. The team practiced through December 20 before leaving Baton Rouge the morning of December 21 for New Orleans where, the 13 players (from a squad of 18), one coach, and two student assistants boarded the Southern Pacific steamer Chalmette for Havana. One report said, "It is very likely that a number of students will accompany the football team to Cuba, and those who do so will be allowed the privilege of remaining absent until January 5." The team would remain in the Cuban capital until January 1. 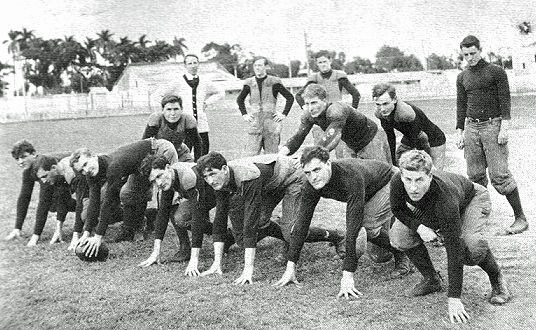 The undisputed star of the LSU team was 20-year-old 165 lb E George "Doc" Fenton. He was born in Scranton PA in 1887 but began his college athletic career in Canada in 1904 at St. Michael's College where he played rugby (which was much closer to American football then than it is today). He then played football at Mansfield State Normal School back in his home state. He became the star receiver in 1906, the first year of the legal forward pass. One day a well-dressed man introduced himself to Fenton after practice. My name is Edgar Wingard. I'm the new coach at Louisiana University. How would you like to go to a Southern school? A native of the Keystone State himself, Wingard had coached the Pittsburgh football team in '06. His first impression of the visitor being favorable, Doc promised to consider LSU. Edgar followed up with regular letters to Fenton. Then one day in the spring of '07, Doc arrived home to find an unknown woman speaking to his mother. She turned out to be Mrs. Wingard. As a speaker, said Doc, his wife was just as impressive as he was. She sure impressed my mother. Before she left, I promised to go down to Baton Rouge for a visit. If he had stayed in the Northeast, Fenton would have set the football world on fire. But displaying his talents in the Deep South, he didn't make Walter Camp's All-American teams. which included seven HBs, in either '07 or '08. Future LSU president Troy Middleton: I saw Jim Thorpe, but Doc Fenton was better. T Marshall Gandy: Doc could do more with a football than a monkey can with a coconut. He was the greatest field general who ever don­ned a uniform, a fellow who could punt on the run and catch the football one-handed. Doc was the hub of our team and we were the spokes. While the '07 Tigers finished fourth in the S.I.A.A., the Atlanta Constitution described them as "one of the best teams of the season in the southwest in points of fast, open and spectacular play." Only eight years after the Spanish-American War, the Tigers were not necessarily welcomed with open arms in Cuba. President Theodore Roosevelt had sent U.S. military forces to Cuba in September 1906 to end a civil war in the country, protect U.S. economic interests there, and insure free elections to establish a new government. One offshoot of this "Second Occupation of Cuba" (which lasted until February 1909) was that U.S. soldiers from Camp Columbia and sailors from two U.S. Navy gunboats provided a large number of vocal fans for LSU at the football game. Non-military Americans in Cuba also rallied around the Tigers, to the point of offering to buy the players daiquiris when they sat down to eat in a restaurant. Hooked on baseball since the 1870s, Cuba was also "football mad" by 1907. The Havana U. team had easily defeated every U.S. service team in the area. That's why Cuban officials turned to the U.S. for a more worthy opponent. While very few could attend the game, Tiger fans in Baton Rouge raised $2,000 for Wingard to bring to Havana to bet on the game. Upon arriving in Havana, the LSU contingent learned that Havana officials were recruiting the biggest physical specimens available on the island to supplementary the hometown college squad. However, the contract that LSU signed stipulated that Havana could not use American players not already on their team or players of African descent. 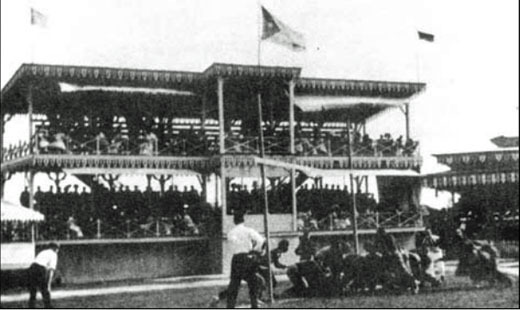 A Cuban newspaper reported: "There will be plenty of college spirit shown, and the Havana University students are practicing their yells, their college songs, and various institutions of noise making which will convey enthusiasm to the players, while the colors of the colleges will be seen on all sides." The University of Havana administration, apparently fearing the game would be a financial bust, stopped promoting the contest. That opened the door for speculators to sell sideline seats for $10 apiece. L-R line: O. H. Noblet, H. E. Baldwin, R. L. "Big" Stovall, W. M. Lyles, Marshal H. "Cap" Gandy, John J. "Bill" Seip, Doc Fenton. Backfield: B. B. Handy, R. F. "Little" Stovall, R. O. Gill, C. C. Bauer. Notice the unbalanced line and the small amount of padding on each player. As the LSU team took the field for pregame warmups, they noticed a number of large glass demijohns filled with wine on the Havana sideline. Every so often, a Cuban player would run over a take a swig. Among them was a 300-pounder named A. C. Infante-Garcia, recruited to handle W. M. Lyles, LSU's 200-pound G. Just before the kickoff, Fenton told Lyles, "Hit that guy in the stomach with your head, and he's done for." Sure enough, Lyles smashed his shoulder into Garcia's midsection on the first play from scrimmage. "The big guy spouted wine like an artesian well," recalled Fenton. "I give you my word. We nearly had to swim to get out of there." Any doubts that Lyle may have had about handling the big man were instantly dissolved. He exclaimed, "Well, I'll be damned. Let's go to work." It didn't take long for the speed and teamwork of the LSU eleven to overwhelm the hometown crew. The Tigers tallied ten TDs worth five points apiece and six conversions to romp 56-0. The TD runs ranged from 20 to 100y. Havana never penetrated LSU territory beyond the 20. Included were a number of Fenton's signature broken-field runs and a 67y punt return by Seip. As usual, Fenton ended the game with his jersey in shreds. Coach Wingard may have invented the tear-away jersey. Before each game, he soaked Doc's woolen shirt in a mild acid solution to weaken the fabric and make it more difficult for tacklers to grab him above the waist. The American servicemen chanted throughout the game, "Lick the Spicks. Kill the Spicks. Rah! Rah! Rah! Louisiana!" E Pat Ryan recalled, "Every time we made a touchdown, you'd have thought there was a flock of blackbirds flying across the field. Those sailors from the Paducah and the Dubuque would toss their blue hats in the air and chant their 'lick the spicks' battle cry." Wingard lifted the curfew that night. The players were welcomed into homes and exclusive clubs. Locals offered the equivalent of $10 U.S. for the grey "L" skullcaps the Tigers wore off the field, a huge sum that the players gladly accepted. Fenton, called "The Artful Dodger" in the U.S., earned the nickname "El Rubio Vaselino" (the Vaselined Redhead) from the Cuban fans. Doc finished the '07 season with 94 points and 14 TDs, both LSU records. Years later, "Doc" Gandy recalled a second game in Havana between Christmas and the Tigers' departure January 1. "We found we could make 25$ apiece. So we made up two teams from the two squads and played again. We only had thirteen, so we loaned Havana a couple of men. We still won it, something like 20-0." Of course, accepting the payment made the LSU players professionals who were no longer eligible for college pay. But since no one back home found out, they continued their careers, which culminated in an undefeated season in 1908.